Shopping from Sicily is becoming increasingly popular with Maltese consumers particularly for furniture, appliances, household items and clothing. MaltaPost has announced a new SendOn service from Sicily to provide local clients with a convenient delivery service from Sicily at competitive rates. SendOn will be adding a new hub in Catania, Sicily. Clients can shop for items of any size – from home accessories to heavy furniture – from Sicily and have them delivered to their preferred address in Malta or Gozo within an average of five to seven days. MaltaPost's hub in Sicily is geared to truck heavy items, such as furniture as well as smaller items, including electronics. This service is particularly attractive for businesses and individuals seeking to benefit from competitive delivery prices. 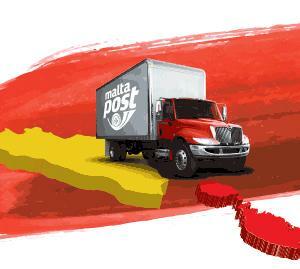 MaltaPost has also introduced a pick-up service within its SendOn Sicily brand. SendOn Pickup Sicily offers buyers the possibility of purchasing products from retailers that do not offer a delivery service or charge premium prices for delivery. In order to benefit from this service, SendOn users would be requested to e-mail their receipt of purchase together with relevant details of the product to sendonsicily@maltapost.com. For more information and to calculate the cost of trucking, the SendOn website provides an easy-to-use calculator for each hub, through www.maltapost.com/sendon. If items are larger than this, or exceed the 300 kg gross weight, a tailored is available. In such cases, contact MaltaPost’s representative for a quote on info@maltapost.com. Online shoppers who are not already registered with SendOn just need to complete the registration form available online at www.maltapost.com/sendon. Following sign up, customers will receive a reply via e-mail with a unique code and addresses to be used when shopping.